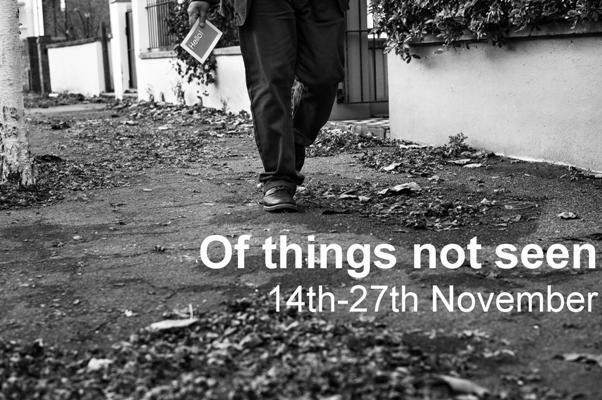 Shot by local award-winning photographer Jim Grover, a resident of Clapham for over 20 years, ‘Of Things Not Seen’ tells the story of a year of my ministry through 46 black and white prints. The exhibition was first shown at the Oxo Gallery on London’s South Bank in March this year, attracting 7,400 visitors and extensive media coverage by the BBC, The Guardian, and the British Journal of Photography. We are now proud to bringing it home to Clapham ahead of its UK tour, and invite you to in snacking on some refreshments while enjoying these powerful images. We’ll be open every day from 14th-27th November – for opening times, please visit the website.